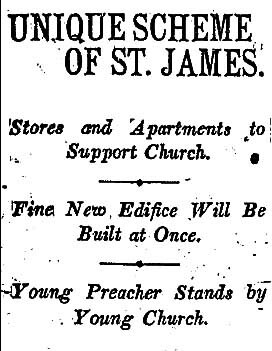 St. James was dedicated on Feb. 11, 1917, under the Rev. Bede A. Johnson, with a final design by architect Arthur G. Lindley. 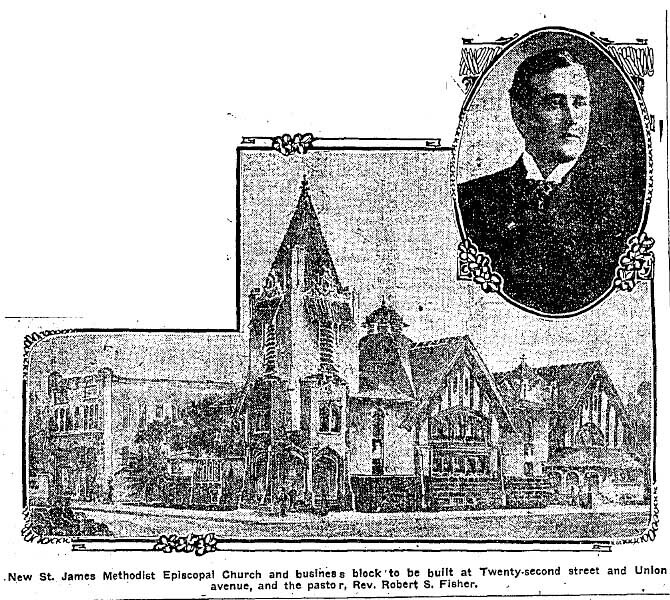 While some historic Los Angeles buildings have been destroyed by earthquakes and others by developers, St. James fell to an unhappier fate. By the 1970s, the church was the home of Metropolitan Community Church, which ministered to homosexuals. 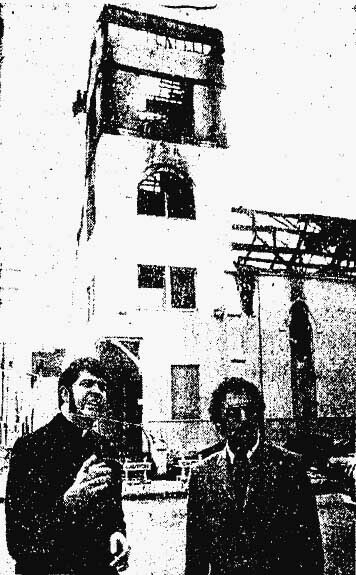 On Jan. 27, 1973, the church was gutted by a fire in an apparent hate crime. 1973: The Rev. Troy Perry and Jerry Small outside the burned remains of St. James Methodist Episcopal Church, burned in an apparent hate crime targeting gays. This entry was posted in 1907, 1917, Architecture, Black Dahlia, Books and Authors, LAPD, Lesbian, Gay, Bisexual, Transgender, Religion, Streetcars and tagged #LGBT, 1907, 1917, architecture, hate crimes. Bookmark the permalink. Was anybody ever caught and prosecuted for this? I wrote this 12 years ago and I don’t recall. I think I would have noted the outcome if I had found it in my research at the time, but, again, this is from 2006.